In the March 2015 Budget, the Chancellor announced plans to introduce the biggest change to the administration of the UK tax system for at least 20 years. 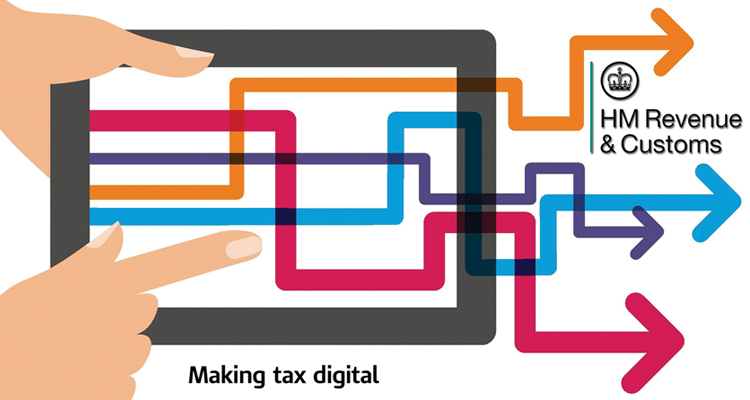 Making Tax Digital (MTD) was to help turn the UK into one of the most digitally advanced tax regimes in the world by making tax administration simpler, more effective and more efficient. Returns and quarterly reporting: There will be a requirement to submit income tax updates to HMRC each quarter and a final end of year return, directly from software. MTD for income tax has been delayed and the obligations will not start until the government makes a decision to mandate MTD for income tax. The start date will not be before April 2020, at the earliest. The legislation is drafted in such a way that the obligations are likely to begin with effect from the start of the first accounting period beginning after 5 April of the year in which MTD for income tax becomes mandatory. Those who use the annual accounting VAT scheme. The requirements do not apply to VAT registered businesses with taxable turnover below the VAT threshold that have registered voluntarily. These exemptions mirror the current exemptions from online filing for VAT. Existing exemptions from online filing for VAT will be carried over automatically to MTD for VAT and it is not necessary to reapply. Any business with taxable turnover below the VAT threshold is automatically exempt and does not need to apply to HMRC. Applications for exemption have to be made on very specific grounds and either by phone to the National VAT helpline or in writing to HMRC. Guidance has been issued in this area that makes it clear that only in exceptional circumstances will exemptions be granted and this is something that McCabe Ford Williams can help with and advise on. HMRC will notify taxpayers in writing of its decision and where the application is refused will include information on the right to appeal. If you currently use accounting software, then you will need to make sure that it is approved for making VAT submissions. If you currently maintain records on a spreadsheet you will need to acquire software (known as bridging software) which will allow returns and updates to be made directly from the spreadsheets, or engage us to do this work. If you currently maintain records on paper your processes will need to change. You will need to provide records to us promptly after each quarter-end and engage us to do the bookkeeping, quarterly and annual reporting or acquire and use appropriate software. Our advice would be to get in touch with your local MFW office as soon as possible to help ensure that you comply with the new legislation with the minimum of disruption to your existing processes. Though HMRC have said that for the first year they will allow a “soft landing” period and not enforce the requirements to have digital links in place, that year will soon pass and once MTD for Income Tax is introduced the need to have the links in place will become even more important. We have access to various different versions of bridging software to help those that would prefer to maintain their records on spreadsheet though we would urge all our clients to consider moving to full accounting software as this is likely to have a far longer lifespan than spreadsheets. Most of these packages are cloud-based solutions, which enable you to access your information online anywhere and anytime. This will improve your efficiency and make day-to-day tasks of running your business simpler. You can learn more about this on our Cloud Accounting page. These packages provide similar features suitable for larger or smaller businesses, with a monthly subscription cost. However, there are MTD compliant desktop solutions that you can also use. At McCabe Ford Williams, we have expertise in the majority of the leading digital tax software packages and can help you with the important decision of choosing the best package for you. We consider options based on your requirements and talk you through the benefits of a shortlist of solutions, and how best to implement them, regardless of whether that is a cloud-based solution or not. We can demonstrate these software packages for you so that you can feel confident using a platform you are comfortable with, and that it will assist you in your business goals. We can also help you make the most of your system by provide you with all the training you need, as well as helping you adopt best practices and providing you with hints and tips.